Mrs. Melisa Maria Rodriguez is a family nurse practitioner with Florida Family Practice who provides primary care services to families. Mrs. Rodriguez believes in partnering with her patients to empower them to achieve mutually created health goals and reach optimal wellness. She moved to the Tampa area from central New Jersey and has been enjoying caring for patients in the area since 2004.
home health, case management, and RN education. As well, she has served as both a school nurse and health occupations teacher for Pasco County Schools. She completed her family nurse practitioner post-Master certification at Maryville University in St. Louis Missouri. 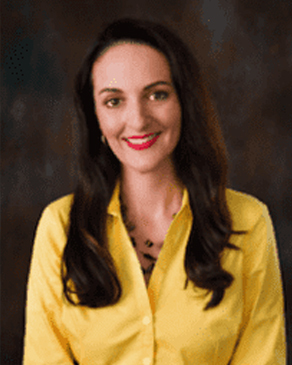 Through this program, she completed various clinical rotations in the Tampa Bay area in clinical areas such as adult/geriatrics, pediatrics, women’s health, dermatology, and ENT. She earned her Master of Science at the University of South Florida in the Nursing Education track for which she completed practicums in various teaching areas such as classroom, clinical, and online settings. She also completed a graduate certificate in school nursing from The College of New Jersey which provided the foundation to teach health classes and manage school health services in her role as school nurse in both New Jersey and in Pasco County, Florida. As well, she completed her Bachelor of Science degree in nursing at The College of New Jersey where she completed her basic nursing education and developed an interest in community and public health nursing. Mrs. Rodriguez is not only interested in her patient’s medical needs, but her background as a certified case manager has taught her to look at the entire person and attend to all their needs. She speaks Spanish and appreciates the opportunity to assist Spanish speaking patients. She takes pride in helping her patients to better understand their health conditions and thus to better manage them.